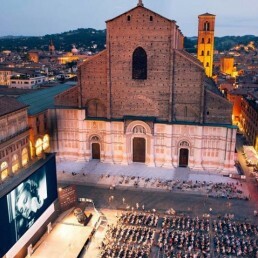 Participation at the 33rd edition of Il Cinema Ritrovato Festival / Cineteca di Bologna, one of the most prestigious film festivals in the world specializing in restored and classic cinema. In 2018 more than 100.000 spectators from 50 countries were in attendance at the festival. Martin Scorsese inaugurated the 32nd edition of Il Cinema Ritrovato, in 2018. The excitement generated by this festival has proven life-changing for past IFA students. The festival screens hundreds of films, holds forums on restoration, and seminars with world renowned film scholars and filmmakers.IFA considers it essential to combine the knowledge of the cinema of the past with the experiences of the present to help create the future of the moving image. Workshop in Virtual Reality dealing with the aesthetic, visual language, conceptual and practical aspects of creating immersive stories in this powerful world building medium. The hands on workshop will be led by top international artists/specialists in virtual reality filmmaking and will enable participants to create their unique vision with screenings and critiques of their work. Workshop in Filmmaking led by Jane Campion, one of the world’s leading filmmakers who will not only share his/her filmmaking experience/aesthetic, but also screen and critique your latest film, and lead you in a filmmaking projects. Jane Campion will mentor you through a total filmmaking process from script to final edit.The workshop aims to develop filmmakers' auteurial identity using a mentoring process as a fundamental method in order to give birth to their individual esthetic. The masters teaching and personal poetics can only be communicated directly through dialogue and direct experience with the master’s work. The master is first and foremost an artist.Network with a group of young Italian filmmakers who will serve as location managers, casting directors, and crew assisting all workshop participants. 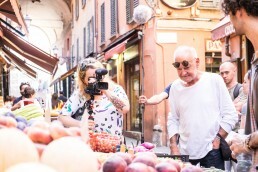 The International Filmmaking Academy brings together a select group of 20 talented filmmakers and filmmaking students from the world’s finest film schools to a 16 days summer program in Bologna, Italy. The workshop aims to help develop the young auteurs poetic identity under the supervision of some of the world's leading filmmakers. The IFA promotes the talents of each filmmaker in an environment of freedom and respect for individual cultures with the goal of assisting in the formation of a new generation of film auteurs.IFA seeks to support the opportunities for lifelong networking with fellow students/colleagues from throughout the world. For the talented filmmakers just starting their professional career, the possibility to come into direct contact with great film firectors in a multicultural climate is invaluable and provides artistic life changing experiences. We are proud to announce the International Filmmaking Academy's Master Teacher 2019: Jane Campion, New Zealand director, producer and screenwriter is one of contemporary cinema’s most notable film-makers. She is the first and only female director to receive the coveted Palme d’or at Cannes (1993) and also only the second of four women ever to be nominated as Best Director at the Academy Awards (1994), both for "The Piano". Jane went on to win Best Screenplay and remarkable public and critical acclaim with a television series, "Top of the Lake" ( Golden Globe, 2014). Yet further proof of Campion’s status as a major filmmaker and indefatigable pioneer. For the talented graduate students just starting their professional career, the possibility to come into direct contact with great filmmakers in a multicultural climate is invaluable and provides artistic life changing experiences.We will announce Master Teachers names end of February 2018. Past Master Teachers – Bernardo Bertolucci (Italy), Abbas Kiarostami (Iran), Dani Menkin (Israel), Diao Yi Nan (China), Rob Nilsson (USA), Krzysztof Zanussi (Poland), Danis Tanovic (Bosnia- Erzegovina), Claudia Llosa (Peru), Bela Tarr (Hungary), Cristian Mungiu (Romania) – have expressed their enthusiasm for the goals of the IFA and their support in helping the IFA grow. The IFA Workshop consists of 20 participants.Participant schools select one, max two of their most creative, intellectually and technically advanced students. 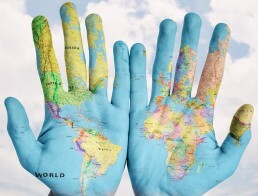 As IFA participants come from throughout the world, speaking many languages, the official language of the IFA workshop is English. All participant students must be able to communicate in English.If your school is not part of the IFA network, or you are an indipendent filmmaker, you can APPLY individually by sending a link of your film or short film to Admission. 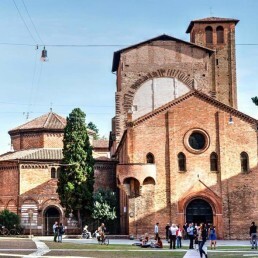 Bologna is a city of about 380.000 of which over 80.000 are students studying in the most ancient university in the Western world founded in 1088. It is also the first university in the world to employ women faculty. 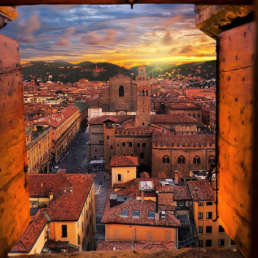 Bologna is a youthful city full of night life, jazz, cafes, and some of the best cuisine in the world. The International Filmmaking Academy is a non-profit cultural association established on December 2012 in Bologna, Italy by Gian Vittorio Baldi and the 15 Founding Members Universities from: Brazil - San Paolo Film School ECA, Belgium - RITS Film School Brussels, Canada - Concordia University Montréal, China - Hong Kong Academy for Performing Arts School of Film and Television, Czech Republic - FAMU Film and TV School of Academy of Performing Arts Prague, France - ENS Louis-Lumiere Film School Paris, India - Annapurna International School of Film & Media Hyderabad, Ireland - Huston School of Film & Digital Media Galway, Israel - Tel Aviv University, Portugal - The Lisbon Theatre and Film School, Russia - The Moscow Film School, South Korea - Yong In University Seoul, Sweden - Valand Film Academy, University of Gothenburg, United Kingdom - The London Film Academy LFA and USA - Syracuse University New York. Past Master Teachers – Bernardo Bertolucci (Italy), Abbas Kiarostami (Iran), Dani Menkin (Israel), Diao Yi Nan (China), Rob Nilsson (USA), Krzysztof Zanussi (Poland), Danis Tanovic (Bosnia- Erzegovina), Claudia Llosa (Peru), Bela Tarr (Hungary), Cristian Mungiu (Romania) – have expressed their enthusiasm for the goals of the IFA and their support in helping the IFA grow.